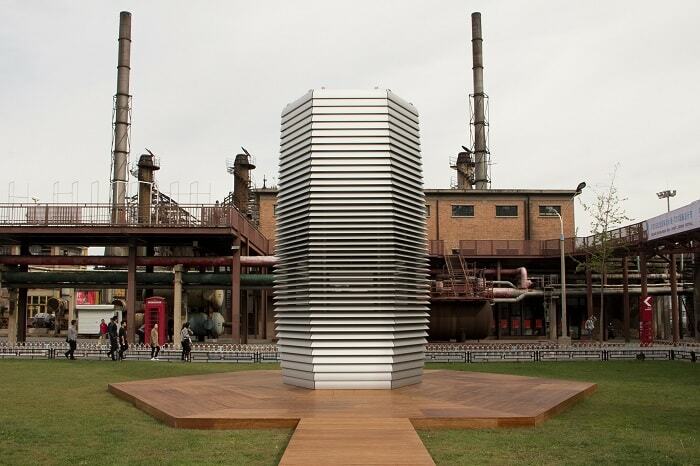 Daan Roosegaarde’s Smog Free Tower has already been active in Beijing for quite a while. According to China’s Ministry of Environmental Protection, the air around the tower is 55 percent cleaner than before. The Smog Free Tower in Beijing is the largest smog vacuum cleaner in the world. Beijing in China, one of the world’s most polluted cities, is the first stopover of the seven meters high air purifier in China. A further Chinese city will soon follow. 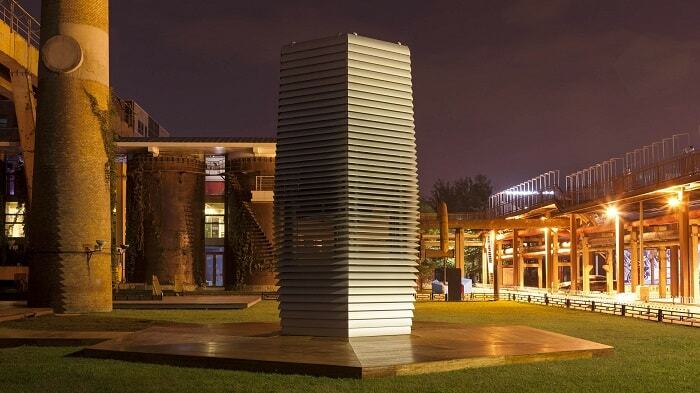 Smog Free Tower started filtering air last year on 4 September 2015 in Rotterdam. 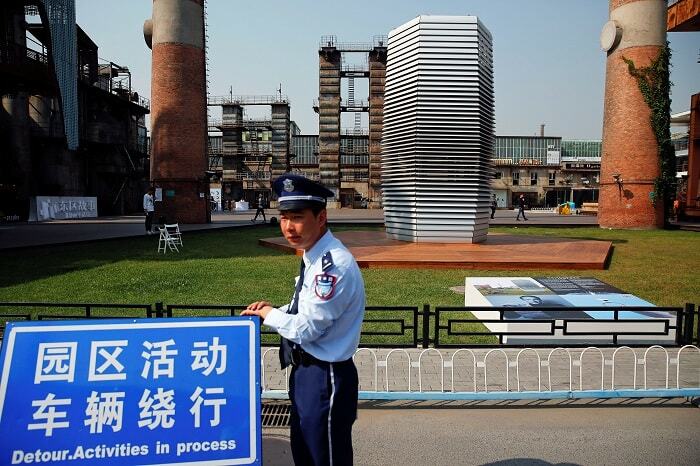 “We warmly welcome Smog Free Project to Beijing. This project is key in our agenda to promote clean air as a “green lifestyle” among Chinese citizens. Our goal is to guide the public to a healthier lifestyle, low carbon development and to raise awareness amongst the public and reduce smog.” Liu Guozheng, Secretary-General of The China Forum of Environmental Journalists. The Smog Free Tower in Beijing needs the same amount of electricity like a water boiler. With its energy-saving ion technology, the air purifier can be run with green energy. Billions of harmful PM2.5 airborne particles have been captured during the exhibition time of Smog Free Tower in Beijing. An equal volume of 10 Beijing National Stadiums, a volume of 30 million cubic meters, were filtered within 41 days. “Dutch Design is going beyond fixed realms, presenting the most innovative solutions to contemporary global issues. The Netherlands aims to develop long-term global partnerships by taking on the challenges our cities are facing. The smog free project is a good example of such a Sino-Dutch creative partnership.” Ron Keller, Ambassador of the Kingdom of the Netherlands in China. “Smog Free Project is about the dream of clean air and the beginning of a journey towards smarter cities. I am delighted to bring the Smog Free Project to the heart of the bustling creative community in Beijing and look forward to developing more joint ideas and solutions.” Daan Roosegaarde, Dutch artist and innovator.